I love what I do and I hope that it shows. 25 years ago I started in the financial services industry as a loan officer in my step-mothers mortgage bank. I was then offered a position in a large financial firm but my love of the mortgage industry pulled me back to my family business where I worked my way up to the lead sales agent and then the sales manager. At the same time I set up a 501c-3 to benefit local communities. Most recently I worked as a Registered Representative for a very large and profitable mutual fund company but the love of working with individuals, families, in the mortgage industry has always been my passion. 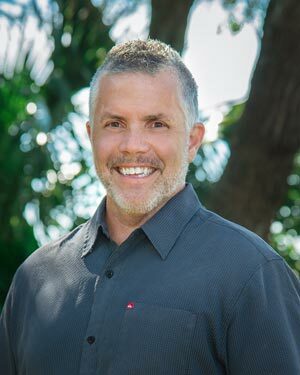 I searched for a new mortgage company that aligned with my goals and passion, but I could not find a company where everyone was family, made a positive impact in their community and truly had the clients best interest in hand until I was introduced to Bank of England Mortgage in Fort Walton Beach, Florida. From day one, they walked me around, and introduced me to the other loan officers, the in-house underwriter and processing team. I had finally found my home. I can again help the first time home-buyer; work with the financial planner in showing their clients the positive ramifications of not paying off their mortgage or refinancing with better terms. As a mortgage specialist in VA, USDA, FHA, and conventional mortgage loans and I have products available for Jumbo, construction and condo loans as well. As a veteran, I am here to work with you with one goal in mind to exceed your expectations during the home loan process. I have been a builder, my father is an architect and my two brothers are master builders, so homes are in my DNA. I have bought and sold numerous properties myself and I am able to combine my wide range of experience to help all homebuyers on their journey to purchasing their dream home. I believe that communication is key and there is no greater advertisement than a satisfied customer. Please give me a call today and allow me to exceed your expectations.